Your little girl is only little once. Let her indulge in one of her favourite characters, a fairy princess. Like Stardust glistening on Fairies' wings, little girl's dreams are of Magical Things. Your little girl is only little once. Let her become one of her favourite characters, a fairy princess. We have a custom made set, fairy outfits and wings for girls of all sizes. 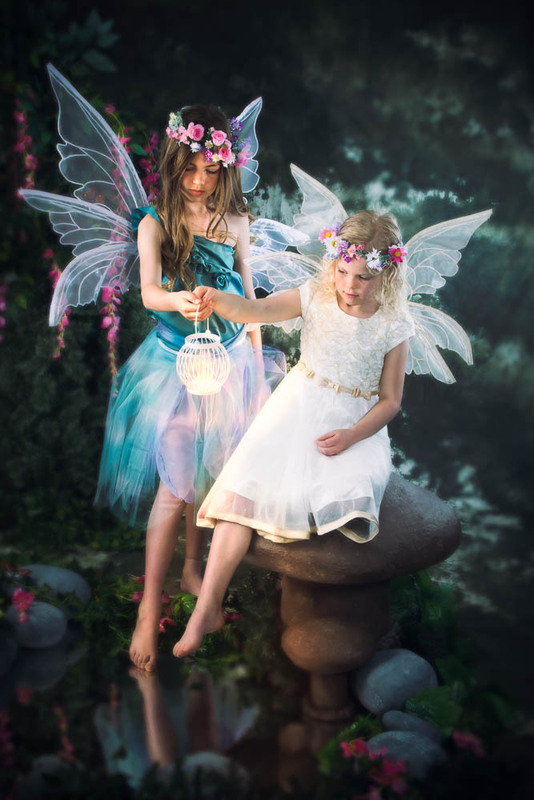 Our fairy assistants will work with your fairy princess to make her comfortable being on set and in front of the camera. We create up to 30 poses based on three looks and angles. The session takes 15-20 minutes on average, however we allow 30 minutes per session to make sure we have the best poses for you to select from. When you book your session, you will receive a confirmation email with more details about the fairy session. We will make an appointment (usually a week after the fairy day) for you to come back and view images on a large screen in our studio. There is absolutely no obligation to buy any additional prints, however you will be provided with all information on our packages and products should you wish to purchase additional prints for grandma/grandpa or other family members as they make great Christmas presents. We guarantee that you will love your images or we will give you your money back, no hard feelings. Session times are limited so reserve your spot now by clicking on the link below. Perfect for little girls ages 3 and up. 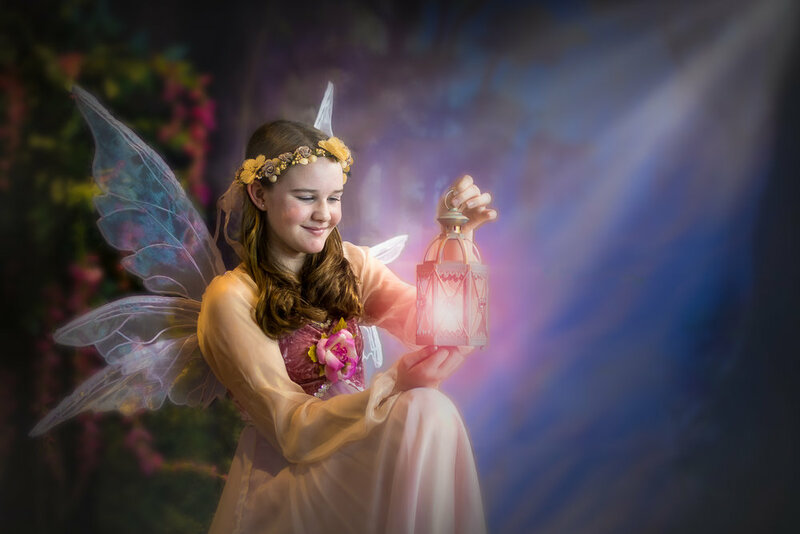 An awesome fairy experience for your little girl in a fairy forest set in our studio. 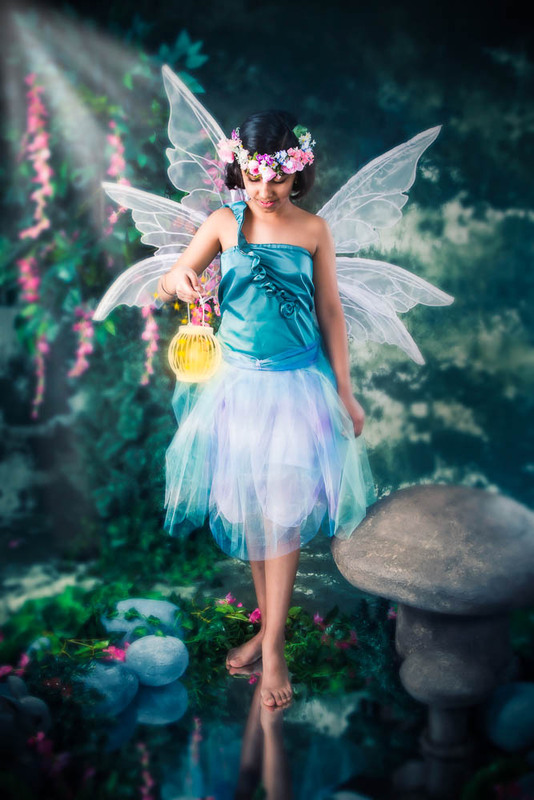 Dress up in one of our custom made fairy dresses and wings for the photo shoot. 1-8"x10" deluxe portrait or 2-5"x7"s (same pose) with each paid session. Session times are limited so book early. Call 416-843-5408 or click on the link below to reserve your spot. Please indicate your preference time slot for the 2nd or the 3rd and include your telephone number so that we can contact you to confirm your spot. Payment is required to reserve your spot and can be paid with cash, Paypal or interac-e-transfer.